It’s officially four years to go until the start of the 2022 Commonwealth Games in Birmingham. 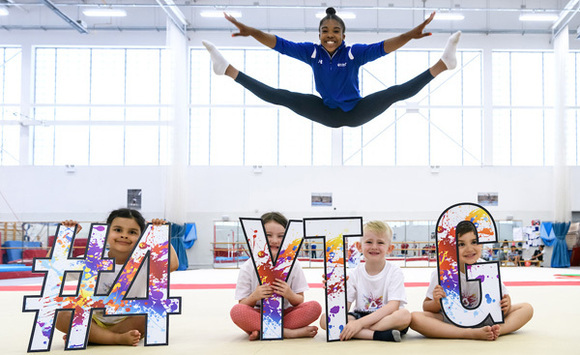 To celebrate, young gymnasts who live and train in the city gathered at the Gymnastics and Martial Arts Centre (GMAC), in Perry Barr, to mark the occasion. Channel 4 has announced that Birmingham has made the final stage to host its new national HQ. The council is celebrating the completion of the 3,000th home built through its award-winning house-building programme. The city’s internationally renowned Frankfurt Christmas Market returns in November. Entries to the council’s annual Birmingham in Bloom gardening competition, for its tenants and leaseholders, closes on Tuesday 31 July. With dry weather continuing, it's important to be aware of these fire safety tips when outdoors. NHS Choices has advice on how to cope during the hot weather. Please check that vulnerable neighbours and relatives are OK during the warm spell. You can help make a difference by using these water saving tips. We want all visitors to the city’s parks to enjoy their visit, but please follow these rules on water safety. Enjoy a range of activities during the school summer holidays at Birmingham Museum and Art Gallery and other local museum venues. 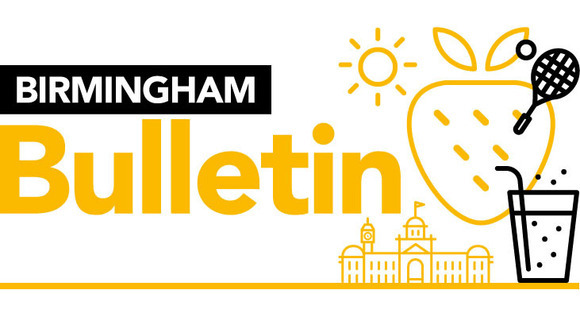 There’s lots of summer holiday fun at mac Birmingham, Birmingham Botanical Gardens and Town Hall Symphony Hall. The Westfield Health British Transplant Games, in Birmingham from 2-5 August, aims to encourage transplant patients to regain fitness, increase public awareness of the need for more people to join the NHS Organ Donation Register, as well as thanking donor families. Celebrating the city’s unique reggae legacy, the Simmer Down Festival returns to Handsworth Park, from 12.30pm - 7.30pm on Sunday, 12 August. Big John’s Birmingham Mela, in Cannon Hill Park, on Sunday 12 August, celebrates the city’s South Asian community through its culture, food, arts and entertainment. Win a family ticket for the Müller Grand Prix Birmingham! Athletes from across the world will be at Birmingham’s Alexander Stadium on 18 August for the Müller Grand Prix Birmingham. Taking place shortly after the European Championships, it’ll be a chance to welcome home Britain’s medallists and see global stars of athletics compete. Which British long jumper is retiring from athletics after the Müller Grand Prix Birmingham? Send your answer and contact telephone number to bulletin@birmingham.gov.uk by 10 August 2018. Please put Müller Grand Prix in the subject field. Are you a Birmingham resident who wants a say about your local neighbourhood? The council would like to hear as many views as possible about how local residents, community organisations and public services can work better together in their local area, to improve neighbourhoods and services. Have your say.